Siskel and Ebert's 'At The Movies' Takes Final Bow The long-running movie chat show, created by Chicago critics Roger Ebert and Gene Siskel 35 years ago, is calling it quits this weekend. Fresh Air bids farewell by replaying an archival interview from 1996. Siskel and Ebert popularized the famous "thumbs up / thumbs down" movie reviews -- and were credited with popularizing several films, including Hoop Dreams and My Dinner with Andre based on their reviews. This interview was originally broadcast on March 21, 1996. Thirty-five years ago, the late Gene Siskel and Roger Ebert began reviewing films together on a local Chicago TV show called Sneak Preview -- which was later renamed At the Movies. The two critics had wildly different tastes in films and often had contentious debates on-air. Audiences loved both their fights and their trademark "thumbs up/thumbs down" reviews -- so much so that the show, starting in 1981, went national -- first on PBS and then as a nationally-syndicated TV show. Though At the Movies has undergone several name changes and hosts in recent years, the format has remained largely unchanged. This weekend, the show, currently hosted by A.O. Scott and Michael Phillips, will broadcast its final episode. 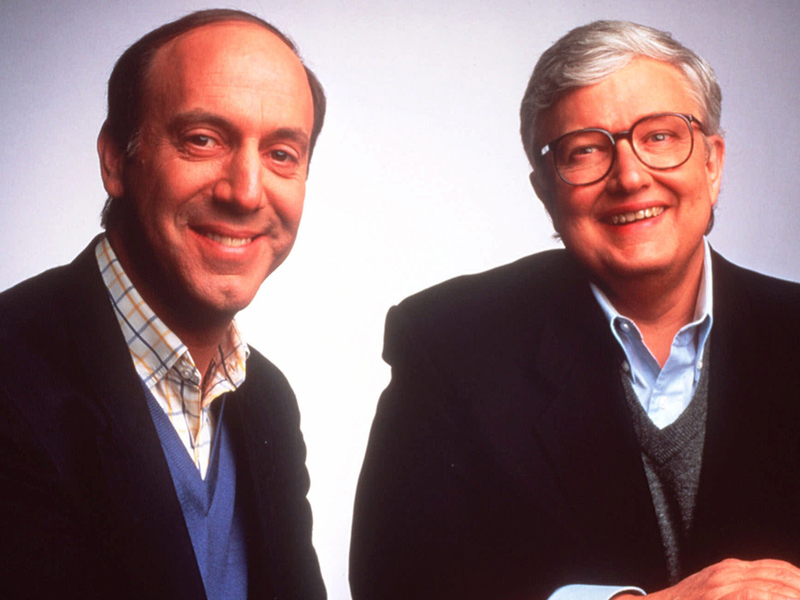 Today's Fresh Air features an interview conducted by Terry Gross with Gene Siskel and Roger Ebert in front of a live audience in Chicago in February 1996. The two critics shared scenes from some of their favorite movies and talked about how films changed their lives. Gene Siskel died in 1999 from brain cancer. Roger Ebert left the show in 2008, after losing his voice from complications following cancer surgery. Ebert still reviews films for The Chicago Sun-Times and was the first film critic to be awarded the Pulitzer Prize. Roger Ebert: "I go to the University of Colorado every year in order to [analyze] a film one shot at a time. We spend 10 hours going with a stop action projector or laser disc through an entire film. Every 10 years I do La Dolce Vita. And what I said the last time I did it was 'When I saw this movie in 1962 for the first time, it represented everything that I dreamed would happen to me. When I saw it the second time, in 1972, it represented everything that I was stuck in. When I did it in 1982, it represented everything I had escaped from and the next time I do it, it will represent a pretty good movie that I remember from my youth.' But the movie has not changed. It's a time capsule and as you see it, it evokes all of those feelings from all of those earlier viewings. The movie is the same. The emotions we bring to it are different. And if it's a good movie -- because bad movies aren't worth seeing more than once, if once -- but good movies are worth seeing over and over again because like good music or a good book, they read differently every time."